The Interactive Color Touch Screen lets you intuitively navigate through various screens for embroidery, editing, and sewing. The Design Positioning feature lets you join large embroideries with perfect placement every time. 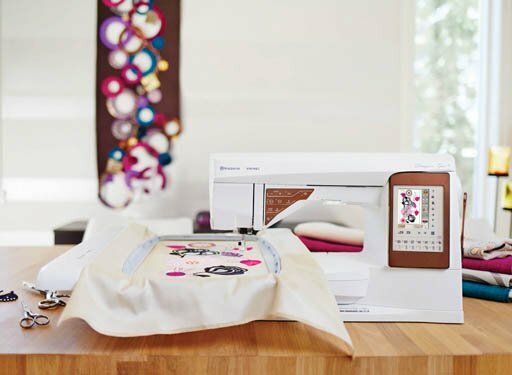 Internet updates ensure that your DESIGNER TOPAZ™ 50 sewing and embroidery machine is always up-to-date. The Embroidery Design Editing and Save features enhances your embroidery creativity and allows for a more personal and precise result. The large embroidery area allows you to stitch spectacular designs with just one hooping. The generous sewing surface gives you more room for large projects. Hundreds of breathtaking embroideries and stitches inspire endless creativity.